Yonatan Wachspress is a Partner of Blue Cove Capital, LLC. 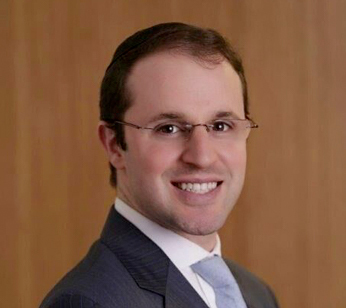 Yonatan began his career at AXA Advisors, LLC in 2014. Before joining AXA he worked in the legal department of a healthcare-tech company. He now specializes in helping individuals and small businesses develop comprehensive and cohesive financial plans that fit their unique needs and enable them to meet their short, intermediate, and long-term objectives. Yonatan is ranked nationally at AXA Advisors, LLC, ranking #1 in the country for his company-assigned class in 2015 for overall production. He was also nominated for the Five Star Wealth Manager award. Mr. Wachspress was invited to join the prestigious Million Dollar Round Table (MDRT), an elite international network of the top 5% of financial professionals globally, who serve their clients with exemplary performance and the highest standards of ethics, knowledge, and productivity. Yonatan graduated Yeshiva University in 2009 with B.A. in History and holds a Juris Doctor from Saint John’s University School of Law, which he received in 2012. He maintains the Series 7, Series 63, Series 65 registrations; and Life, Accident, and Health Insurance licenses. He lives in Brooklyn, NY with his wife Sarina and two children. He is an active member in the community, serving as a volunteer to several charities.